Kait, Renata, and their guest Kelly read The Forest of Hands and Teeth by Carrie Ryan. It’s the story of a teenage girl bravely fleeing her oppressive, zombie-infested village to start a new life where she can freely express herself. Or… to be with her true love? Actually maybe she just wants to look at the ocean for awhile. Whatever. Candy pairing: Kait says Twizzlers, Kelly says Blackpool rock, Renata says Halls cough drops. Coming up next: Inferno by Dan Brown. Kait, Renata, and the ghost who lives in Kait’s apartment read True Believer by Nicholas Sparks, the inventor of the “love tragedy” genre. It’s a ghost story without ghosts and a love story without any real romantic chemistry. Listen now to hear our fan theory of how True Believer is a crossover with Outlander! Candy pairing: Kait says fake old-timey penny candy, Renata says ghost Peeps. 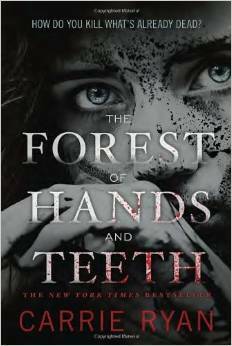 Coming up next: The Forest of Hands and Teeth by Carrie Ryan. 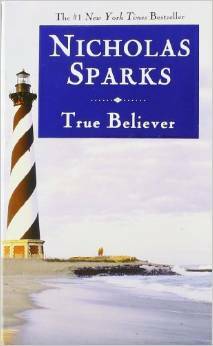 Here’s what we suggest instead of/in addition to reading True Believer by Nicholas Sparks. Listen to the podcast to hear us talk about some of these titles in more depth!